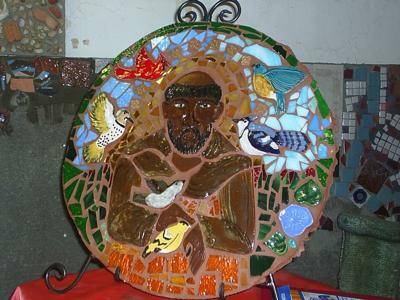 This mosaic was supposed to be St. Francis but I don't know if it really resembles him or not. So I named it "Unknown Saint". It is made of birds I made out of clay, and glass.